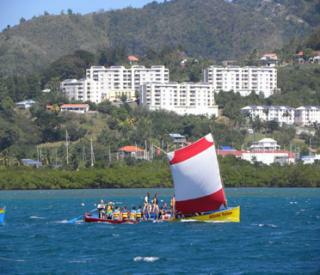 Come and sail a traditional yawl boat and discover the beautiful bay of Marin, the islets and the mangrove. Georges-Henry Lagier, one of the most famous yachtsmen skilled in sailing traditional yawl boats and his team will share their passion with you. You can take part in the maneuvers if you want to or, just enjoy the pleasure of sailing in the bay.